Lord of the Rings game Middle-earth: Shadow of Mordor was surely amongst 2014’s best. It also sold a respectable number of copies, even if it obviously wasn’t as popular as other high-profile games such as GTA and Call of Duty. Nonetheless, the game did well enough for publisher Warner Bros. to greenlight a sequel, which will be titled Middle-earth: Shadow of War (and not Shadow of Mordor 2 as many would expect) and which will be hitting shelves this October. Warner Bros. also recently announced the voice cast for their upcoming Lord of the Rings game. 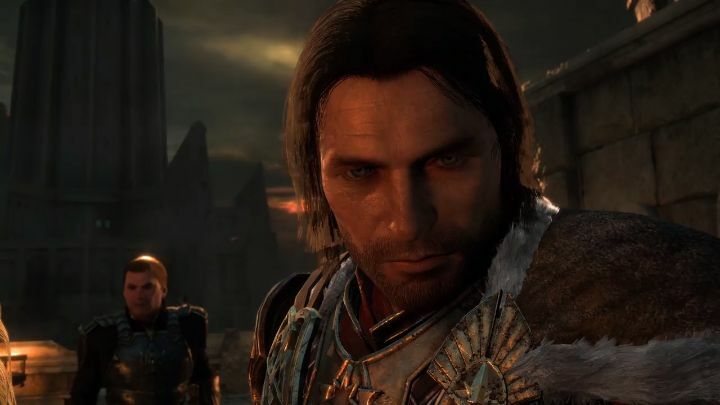 Fans of 2014’s Middle-earth game will be happy to know that voice acting superstar Troy Baker will be reprising his role of Talion in Middle-earth: Shadow of War, as the US actor did a terrific job voicing the game’s protagonist in the earlier game. Troy Baker plays protagonist Talion in Middle-earth: Shadow of War. Actually, Baker is one of the best and most in demand video game voice actors around, and has done voicework for some of the hottest video games of the last few years. This includes releases like Far Cry 4, in which he played evil dictator Pagan Min; Call of Duty: Advanced Warfare (in which he voiced protagonist jack Mitchell) and 2016’s megahit Uncharted 4: A Thief’s End, in which he played Sam Drake, brother of main character Nathan Drake. Joining Troy Baker is fellow voice actress Laura Bailey, who also played a role in Uncharted 4 (she voiced villainess Nadine Ross). In Shadow of War, she plays assassin Eltariel, a servant of elven queen Galadriel who will be aiding protagonist Talion in his quest. Also amongst Shadow of War’s voice cast are Alastair Duncan who plays wraith Celebrimbor, actor Kumail Ninjiani who recently did voice work for Mass Effect Andromeda, and Pollyanna McIntosh from the Walking Dead will also be lending her voice to the game. And hopefully Middle-earth: Shadow of War’s cast will do a great job in this upcoming Lord of the Rings game, which no doubt is one of the most eagerly-anticipated video games of 2017. We’ll get to know more about the game at this year’s Comic-con event in San Diego, in which Warner Bros. will be hosting a panel featuring some of the game’s voice cast, while more footage of Shadow of Mordor will be shown there as well ahead of the game’s debut this fall. Note: Middle-earth: Shadow of War will be released on October 10, 2017. Available on PS4, Xbox One and PC.